That's the spirit! If you really want something, you gotta do everything to make it happen. In our case, it took us a plane ticket, a hotel accommodation and a little pocket money to move a bit closer to something we really want. I am not actually referring to this as a dream because until now, I'm not really sure about what I really want in my career, or should I say, in my life? haha.=P But I think for those who were with me, what we're talking about is really a dream. If only I didn't want a break from work, I wouldn't fly to Cebu. It was really unplanned. I just invited a friend to come with me and the moment she agreed, I immediately booked a ticket. 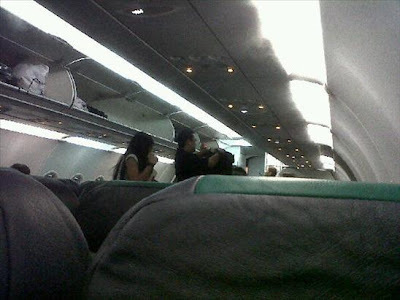 I booked last Jan.19 for a roundtrip ticket (Cebu Pacific) dated Jan.23 (9:35pm) to Jan 27 (4:50am). I also announced to our forum in PEX that I'll be going to Cebu, that's why I got to join my fellow PEXers there. I stayed at Capitol Tourist Inn with my fellow PEXers. Though we're not all together in one room. One stayed somewhere else, while my friend who's originally with me stayed with her friend at another hotel since she's from a different flight. 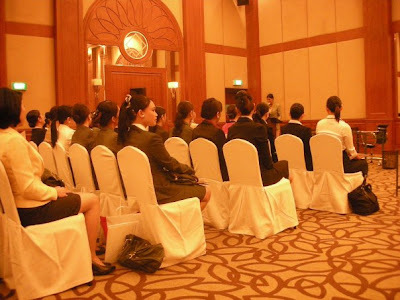 We arrived at 9am at Marriott Hotel and there were already about a hundred girls in the room. The CV submission started after a few minutes. There were 3 QR representatives: one was a Chinese lady, one was a hot British guy (haha), and the other was Laura, the Argentinian lady whom I've met in Manila last Aug.'09 during the QR Assessment Day. 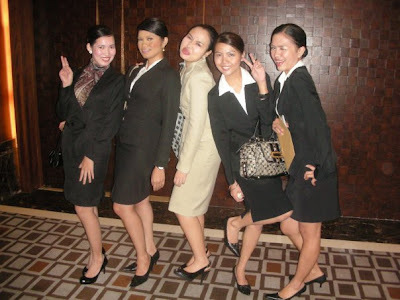 There were also a lot of pretty girls from Cebu, Davao, Manila, and other nearby regions. When it was my turn, Laura admired my suit in the photo, as well as the photo itself. She asked if I had it taken in Cebu, but I said it's from Manila. Well maybe it's just her way of finding out where I was really from. haha. She asked if it's my first time to apply in QR, but I said it was my 2nd time and that I've already met her during the Assessment Day. She asked what we did there so I answered that we had group discussions. I think she's verifying if I was really there haha.